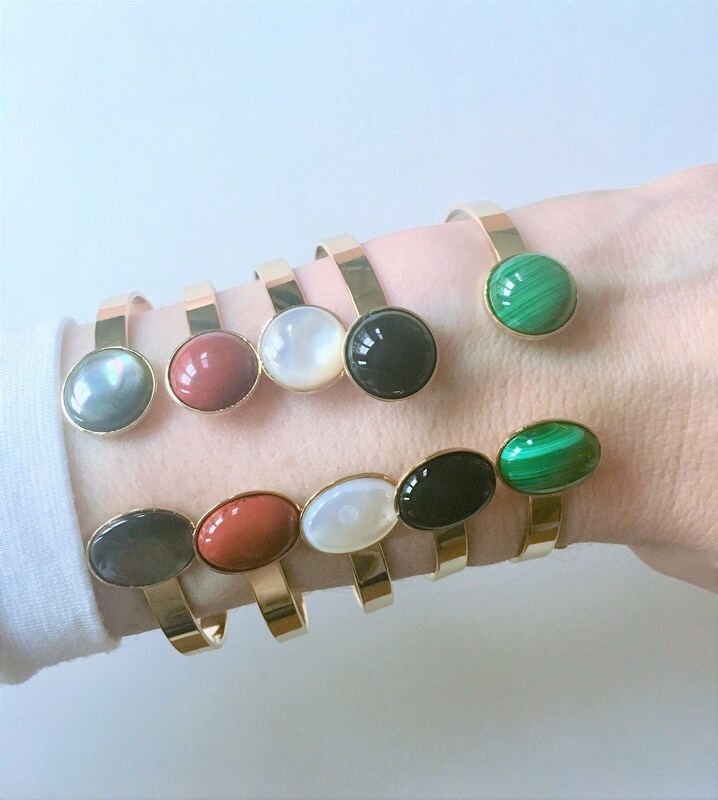 Golden bracelet and gemstone. 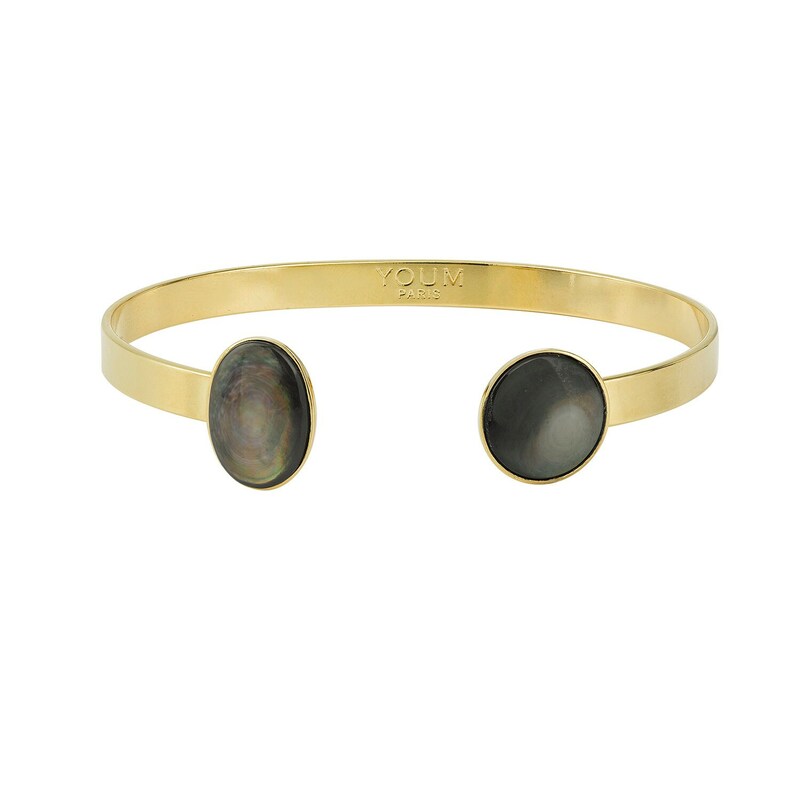 Bracelet made of brass with a 24 karat gold finish adorned with two grey mother of pearl stones. Each semi precious stone is unique. Size is adjustable. Bracelet sold by the unit. 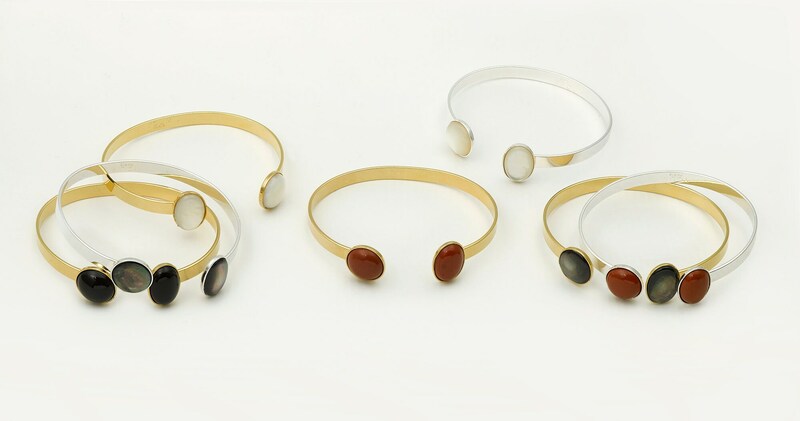 The mother of pearl bracelet can be worn alone or together with other bracelets in the range.